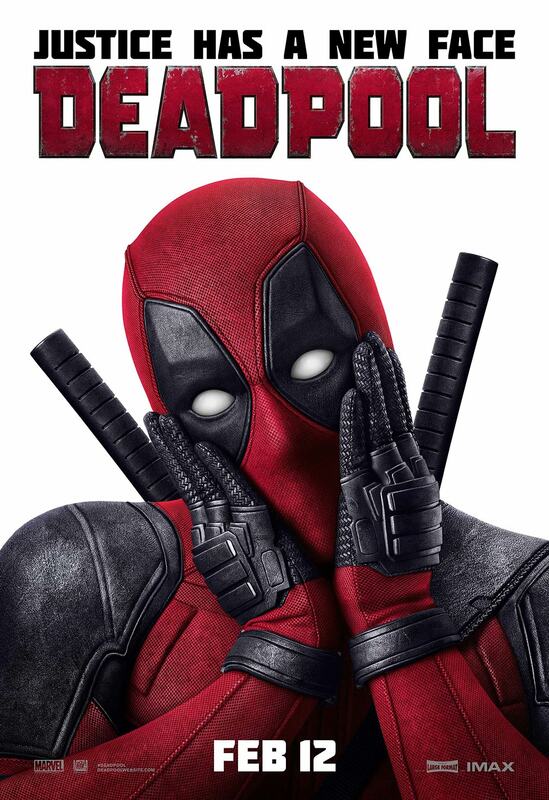 This entry was posted in Movies and tagged Awesome, Brianna Hildebrand, Deadpool, Ed Skrein, entertaining, Morena Baccarin, movie reviews, movies, Ryan Reynolds, screw the fourth wall, sketchy cab driver, Stefan Kapicic, T.J. Miller, Wade Wilson, worth the wait. Bookmark the permalink. It was a most entertaining film! Thanks! See, that relationship was put together really well! It wasn’t easy, it was all over the show, but they fit, and it wasn’t forced. Ah, Ryan Reynolds IS Deadpool! Deadpool is so much freaking fun isn’t it?! I’m still iffy on the hype about it being a “game changer” though. If you look at the whole arc that he goes through — once a ‘normal’-ish man, goes through a horrible physical transformation (b/c of — yawn, cancer), turns super-cynical and morose, then goes after the guy who did it to him. . . I mean, how many times have we seen this before? But then I ask myself — what if this structure is just another part of Deadpool/Tim Miller’s plan to just state the obvious and then make fun of it. Like, they know exactly what they are doing with the generic plot and everything but they just don’t care? That’s entirely possible. Thanks Tom! Ah, it is such a fun movie, and I can see myself enjoying it many more times to come. LOL! You definitely are putting spans of thought into this. Hope you catch it soon! 🙂 You and me both! Ah, so much fun! I was just talking about what you mentioned, how they went full force and didn’t try to tame it for younger audiences. I’m so glad they did that. I am so glad they went that route… taming it would have totally killed it! This movie sounds excellent just like your review. Good review Zoe. It’s the swift kick in the rear-end that the superhero genre so desperately needed. Thanks Dan! I agree, this was definitely a breath of fresh air, and exactly what I was hoping for! Great review! I liked Deadpool but I think it might have been a teeny bit overhyped. Thanks 🙂 Oh, I can absolutely get behind the overyhyped bit – but then, there was no way it wouldn’t be considering how long people had been waiting. Marketing also factored in big time here.